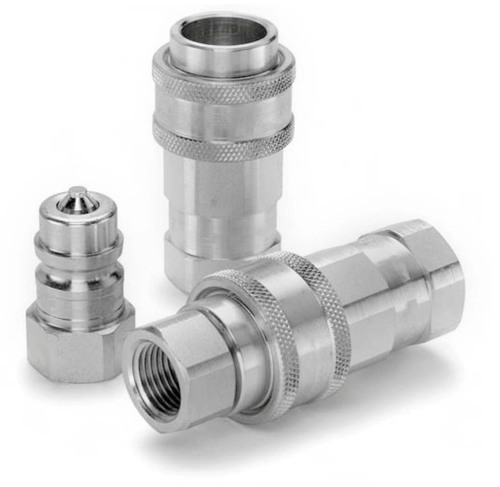 As an acclaimed enterprise of the industry, we are engaged in offering Quick Release Coupling to our patrons. Used for quick release of fluids or gases in various industrial applications, these products are fabricated by using modern machinery. The offered product is examined on several parameters by our quality auditors to ensure defect free product at the patrons end. Incorporated in the year 1985, A Saluji Engineering Works, a leading Manufacturer has wide market recognition for facilitating Tube and Pipe Fittings. The raw material used in the preparation of the offered products is procured. Further, our products get immense appreciation from our clients owing to their quality, fine finishing and environment friendliness.